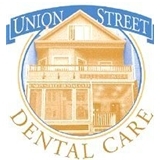 Union Street Dental Care (San Francisco) - Book Appointment Online! **Union Street Dental offers 24/7 emergency dentistry! Please visit our website for our emergency line** Located in the heart of San Francisco, Union Street Dental Care has been dedicated to quality service for over 40 years. We offer a full range of dental services and guarantee your treatment will be personal, friendly and effective. From a simple cleaning to Laser Periodontal Therapy, each procedure is carried out with the utmost care and attention. At Union Street Dental Care, patients will find a friendly staff, revolutionary dental equipment, and a nationally renowned Doctors that will make every experience warm and satisfying. Dr. Dintcho was incredibly thorough and informative. I appreciated his explanation of what I need and the timetable I would be facing if the right steps are not taken. He was incredibly transparent about cost and procedures and I look forward to receiving said treatments in the very near future! Definitely a step above a lot of other dentists I have seen before now. Thank you, Dr. Dintcho!